Just over a week and Christmas will be upon us, hope you are all organized, if not you had better hurry up. New Members Membership Cards have arrived please ask at the office if you are waiting for yours. Winner of the Personal Car Park was Joanne Carson. We managed to have winners for half of the donated items on closing day – congratulations to all winners, the rest of the prizes will go towards the 2017 Masters for raffles. Once again thanks to everyone that contributed to the success of closing day. It was great to see the clubrooms full and everyone enjoying their day plus prize-giving. The money that came in for competitions for the day was $370.00. 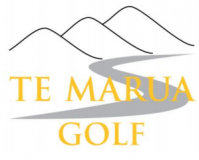 The winner of the Stableford was Gina Omundsen with 47 Stablefords – awesome result $100.00, second was Erica Wood – $70.00, 3rd Brian Cockburn $50.00, 4th Amie Clisby $20.00, 5th Wayne Bach $10.00, 6th Andrew Curry $10.00, 7th Nicky Brankin $10.00. Twos Results for all Par 3’s, 4’s, and 5,s holes were Mike Smith #11, #15 $20.00, Ray Johnstone #6, #15 $20.00, Kerry Baines #9 $10.00, Amie Clisby #2 $10.00, Wayne Turner #15 $10.00, James Omundsen #6 $10.00, Con Rogers #9 $10.00, Chris Brooks #11 $10.00. Total amount paid out is $370.00. Winnings are in safe, please ask office staff. Winning pairs of the Gething Trophy was Michael Baines and Gina Omundsen, Runner-up was Kerry Baines and Wayne Turner. Congratulations to you all!!! On the right hand side of the #4th tee the Rata Tree is in flower and it looks spectacular. The Women Vets had their Christmas Function and Prize Giving at Shandon on Monday, they had a wonderful day the ball was running, the wind blowing and the scores were amazing!! Two of our Ladies Noeline Berkett got 3rd on 47 Stablefords, and Erica Wood 6th on 45 Stableford, further down the track Pat Sinding, Faye Turner and Robyn Smith all 26th on 40 Stablefords. There were 33 players with 40 or more Stableford points from a field of 72. The 9 holers numbered 25, so a total field of 97 was a really pleasing turnout after the dismal year they have had. Carole Medway won the Pam Bryant Trophy for best overall performance in 2017. Congratulations!!!! ALL MASTER REGISTRATIONS ARE TO BE PAID FOR IN 7 DAYS. PAYMENT IS CONFIRMATION OF TEE TIME. Sunday – We have Christmas Cheers Charity Fundraiser. The cost of this is $5.00 per players, the money raised is donated to a charity. Mid-Week men play on Tuesday and Thursday. Mid-Week Ladies play on Wednesday. Everyone enjoy a stress free week before Christmas.